Turtles eat stones for several reasons. In the wild, the behavior may have a purpose. But in captivity the behavior can cause serious health repercussions and should be discouraged. In fact, you should avoid using pebbles for turtle bedding to prevent them from eating pebbles. If your turtle eats pebbles, consult a veterinarian. In the wild, turtles and tortoises eat rocks because they crave certain minerals. The occasional rock can provide a variety of micronutrients or minerals, including calcium and iron. In captivity, you should supplement your turtle's diet with calcium supplements. This prevents the need for eating pebbles in captivity. 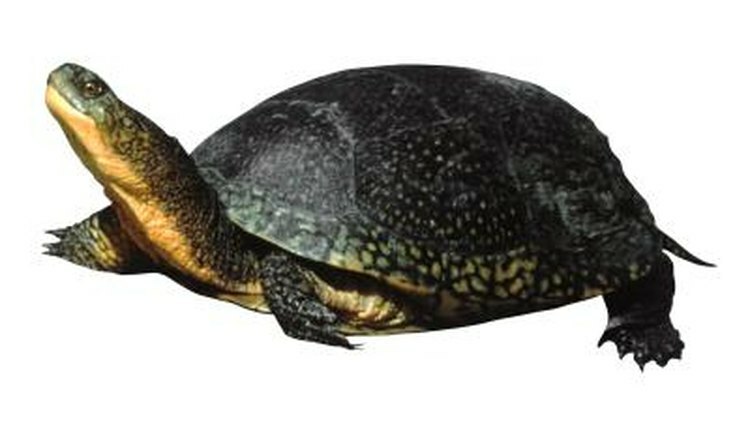 If a turtle finds himself in captivity without enough room or enrichment, he may eat pebbles out of boredom or hunger. While a turtle in the wild may eat the occasional pebble for nutrients, a bored turtle may eat enough rocks to cause serious health problems. You can reduce the risk of this behavior by feeding your turtle regularly, providing enrichment activities and providing a large enough enclosure for your species. Enrichment can include things like hiding the turtle's food so he has to look for it, or housing him with other turtles. Even if turtles occasionally eat stones in the wild, captive turtles can die from eating pebbles, particularly if they eat many of them. Pebbles can get lodged in the intestines. This can block a turtle's digestive tract, preventing him from digesting food. If your turtle refuses to eat, or you see him eating rocks, immediately consult a veterinarian. It may require surgical intervention to fix this. You will want to avoid pebbles for other reasons. Some turtles, like soft-shelled turtles, can injure themselves on hard substrates like pebbles. For these species, you need to provide a soft, fine, sandy substrate. Other turtles can scratch their limbs and shells on pebbles, but this typically causes less damage in those with hard shells. Do not use pebbles for turtle habitats.